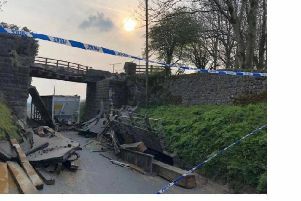 Three major Derbyshire roads, which are considered to be among the most dangerous in the UK, are set to be revamped as part of the government’s new ‘Safer Roads Fund’. Derbyshire County Council will receive £6.8m as part of the scheme, which aims to improve the quality of dangerous ‘A’ roads and reduce the number of deaths on English routes. The A5012, between the A515 and A6 Cromford, will receive the most funding out of the Derbyshire routes, with the government granting Derbyshire County Council more than £3.07m to make improvements by 2020/21. Councillor Simon Spencer, Derbyshire County Council Cabinet Member for Highways, Transport and Infrastructure, said: “Keeping Derbyshire’s roads safe for all road users is a top priority for us, so we very much welcome this extra cash to improve safety. “Our bid put forward a very strong case for extra measures to help reduce collisions and this new money will help us improve conditions on three of our most challenging roads. One of the other Derbyshire roads set to receive funding support is the A5004 between Buxton and Whaley, which will receive more than £2.5m worth of infrastructure work between now and the end of 2021. The third Derbyshire road to receive support is the A619 between Bakewell and Baslow, with the government granting the council almost £1.2m to make essential repairs before the end of next year. The nearby A537 between Macclesfield and Buxton will also receive £2.49m worth of improvements between now and 2021, which will be undertaken by neighbouring Cheshire County Council. Local authorities had to bid for government support on these routes, and following assessment a total of 56 routes qualified for funding. It is expected that the government will spend £100m on the ‘Safer Roads Fund’ by the time of completion.